Cushing’s Disease (also known as just Cushing’s or Hyperadrenocorticism), is a complicated, hormone - related syndrome. It can take several tests to determine if a dog has Cushing’s, as it’s symptoms are similar to several other diseases and disorders. There are also two forms of Cushing’s disease, each affecting a different area of a canine’s body, and different procedures are required to detect a certain type. Symptoms of Cushing’s disease arise when a dog’s body is exposed to high levels of a hormone called cortisol. (Or other hormones that work in a similar fashion to cortisol.) Cortisol exists naturally in every canine’s body, produced by the adrenal glands that are located above the kidneys. Normally, the hormone is released during stressful, “fight or flight” situations as cortisone prepares the dog for extreme physical exertion. The hormone release causes the dog’s body to become intensely focused on only essential functions so that stored resources can be used quickly. (This happens to humans as well – we call it an adrenaline rush.) After the stressful situation is dealt with, cortisol levels naturally recede and the dog’s body returns to its normal state. A dog that has Cushing’s disease is constantly exposed to cortisol over a long period of time. Excess cortisol is made and released much more often than normal. This causes a dog to be in a “break-down” state almost all the time, which can be severely debilitating. There are two different types of Cushing’s: Pituitary Dependent and Adrenal-Dependent. Each is tested for and treated differently. Most dogs, (about 85%), will have this form of Cushing’s. A gland near the dog’s brain, called the pituitary, develops a small tumor. The tumor itself is usually benign, but it produces excessive amounts of the hormone ACTH. ACTH release then stimulates the adrenal glands to produce far too much cortisol, causing Cushing’s disease. In rare cases the tumor can grow big enough to put pressure on the brain and cause neurological signs. These tumors are called macrotumors. This type of Cushing’s Disease is not as common in dogs as Pituitary Dependent Cushing’s. About 15% of dogs get this type. In this type of Cushing’s, a tumor on or inside the adrenal gland is responsible for the excessive production of cortisone. This causes the pituitary gland to slow or even stop releasing ACTH entirely, unlike Pituitary –Dependent Cushing’s, where too much ACTH is released. While there are many signs to look for which may indicate your pet has Cushing’s, several symptoms of this disease are shared with other, less serious problems. Also, these symptoms may occur gradually over time, and it is easy to mistake them for signs of aging. That is why it is very important to bring your dog to the vet, if any of the following symptoms become apparent. - Increase in water intake: A significant increase it the amount of times your pet makes a trip to the water bowl, as well as an increase in how much they consume. Increased water intake or increased urination are also common symptoms of diabetes, urinary tract infections, and other problems. - Increased urination or Urinary Incontinence: Obviously, if your pet is drinking more, they may urinate more. But remember these symptoms may occur independent of each other. If your pet is going to the bathroom in the house, and they previously never had issues in this area, this can also be considered excessive urination. - Excessive Appetite: An increase in the amount of food your pet eats, or symptoms of constantly unsatisfied hunger, no matter how much your dog consumes. - Round, Pot-Bellied Stomach: A round, often firm and sometimes distended belly, even if your dog has not recently had a large meal. (Usually not painful) However, this can also be a sign of a dangerous problem commonly called “Bloat”, in larger dogs. It is usually accompanied by abdominal distress, vomiting, lethargy and pain. If THOSE symptoms occur, you should rush your dog in to the veterinarian’s office immediately. - Skin Problems: Itchy, flaky, dry skin. Frequent, repeated skin infections. Hair loss along back and stomach, but not along legs or head. Thin, wrinkled skin that does not heal well if wounded. Blackheads/ darkened pigment, especially on the stomach. Calcium buildups. There are three tests used to determine if your dog has Cushing’s Disease. Unfortunately, none of them are considered 100% accurate. Usually, your veterinarian will perform multiple tests to confirm a diagnosis of Cushing’s. Low Dose Dexamethasone Suppression Test: This is a test that requires blood samples taken from your pet over an eight hour period. Your dog will usually spend the day at the veterinarian’s office. He or she will be given a dexamethasone injection. In a normal, non-cushinoid canine, the presence of dexamethasone is detected by the pituitary gland, which will then STOP stimulating the adrenal glands. On a blood test, this would show that a drop in the level of cortisol in the normal dog’s system would be seen eight hours after the dexamethasone injection. However, if the patient has a pituitary tumor or Pituitary – dependant Cushing’s, the pituitary gland will NOT stop stimulating the adrenal glands. Therefore, a dog with probable Cushing’s will show no drop in dexamethasone levels after the eight hours. 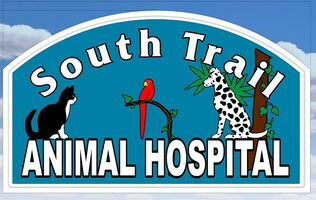 ACTH Stim Test: This test also requires your pet to stay in the hospital for the day. A dose of ACTH is given to the patient after an initial blood sample is taken. Two hours after the dose of ACTH, another sample is taken. These samples are then analyzed. If a dog has Cushing’s, the ACTH will stimulate the adrenal glands to release excessive amounts of cortisol, which will show up on the blood test and allow us to diagnose Cushing’s Disease. Urine Cortisol to Creatinine Ratio: This test is not used as often as the first two listed above because even if it is positive, it does not necessarily confirm Cushing’s Disease. However, a negative test will rule it out. Basically, a urine sample is collected from the dog and analyzed. If there is a higher than normal concentration of cortisol being released in the urine, the canine may have Cushing’s; but further testing will be necessary. For Pituitary – Dependant Cushing’s, four medications are commonly used. There common names are Lysodren, Trilostane, Ketoconazole, and Anipryl. There are other variations of these drugs. For Adrenal – Dependant Cushing’s, the options may include surgery. Tests may be run to determine if the tumors present are malignant or benign. If a malignant tumor is found, the veterinarian then checks for evidence of metastasis or spread to other parts of the canine’s body. Surgery to remove the tumor is often the best and most curative option. However, some pets can be managed medically with Lysodren. When Cushing’s Disease is medically managed, the prognosis for quality of life is decent. Continued lifespan can vary depending on the age of the dog when diagnosed. Cushing’s is a disease that needs monitoring, and it is important to bring your dog in for rechecks as recommended by your veterinarian.